ELEGANT CONDO IN NEW HELMUT JAHN BLDG W/EAST VIEWS OF CITY & LAKE, 2 BLOCKS E TO LAKE, 2 BLOCKS W TO MICH AVE. PREMIUM DARK HRDWD FLRS.10' CEILING. CUSTOM KITCHEN W/LIMESTONE, BRUSHED SS BACKSPLASHES, TOP OF THE LINE APPLIANCES. BATH W/WATERWORKS SINKS, FAUCETS, SHOWER HEAD, STONE TILE FLR & SHWR WALLS, JETTED TUB. W/D HOOK-UP.PARKING SPACE IN HEATED GARAGE INCLUDED!! A MUST SEE!! 600 N Fairbanks Court #2704 Chicago, Illinois 60611 is a condo property, which sold for $448,000. 600 N Fairbanks Court #2704 has 1 bedroom(s) and 1 bath(s). 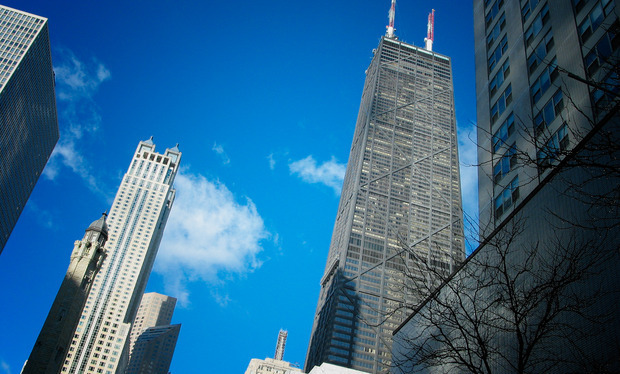 Want to learn more about 600 N Fairbanks Court #2704 Chicago, Illinois 60611? Contact an @properties agent to request more info.